Try searching your name. You'll be surprised how many links pop up. And how few would be the first thing you'd choose to say about yourself. Yet any time you apply for a job, school, credit card, mortgage, join a dating service or seek an audition, somebody checks you out online. 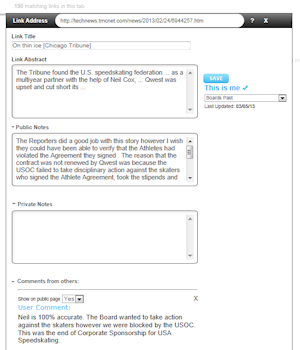 What if you could display the links that they will find, in the order you want them to be seen, and with your comments as to how the link relates to you? 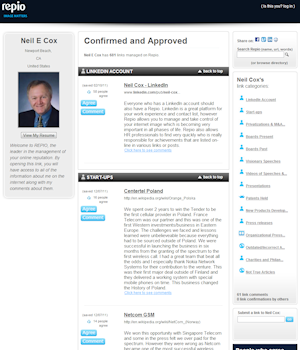 Repio's patented technology does all of this and most importantly makes you relevant when someone searches your name. Share your curated list of links to HR and others! Chances are, others share your name. People searching the Web can easily mistake someone else for you. You won't even know it's happening. Who will set the record straight, if not you? 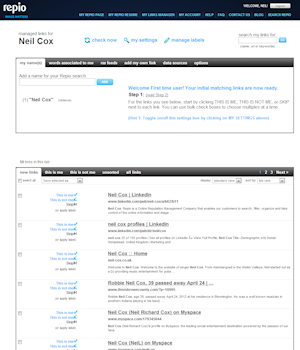 Other Reputation Management companies that try to create positive Internet Reputations by burying negative links deep into the search results can never guarantee that they will not be found again. Repio's patented tools allow you to address negative or positive links so you control what others see. Be proud of your Internet Brand. 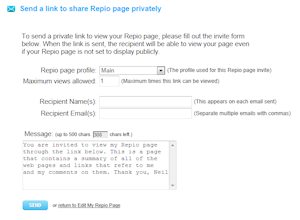 With Repio you create your own web page. 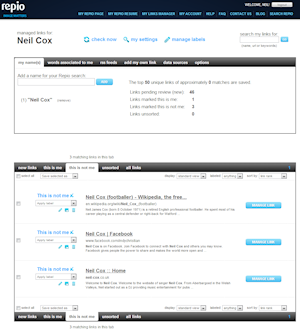 Select and organize Internet links to your name the way you want them viewed. Tell the world how current and accurate they are. It's your personal reputation protection system, and it's as vital as your resume and credit rating. Use social networking to your advantage. Invite family and friends to vouch for you, as you vouch for them. Look out for each other by authenticating what's posted. Think of it as your online Neighborhood Watch. Many HR Professionals predict that your Internet Image or Brand will make resumes obsolete in the near future. Repio's "Three Dimensional Resume" addresses this issue by taking the best of both and combining them into an optional one page "Interactive Resume".